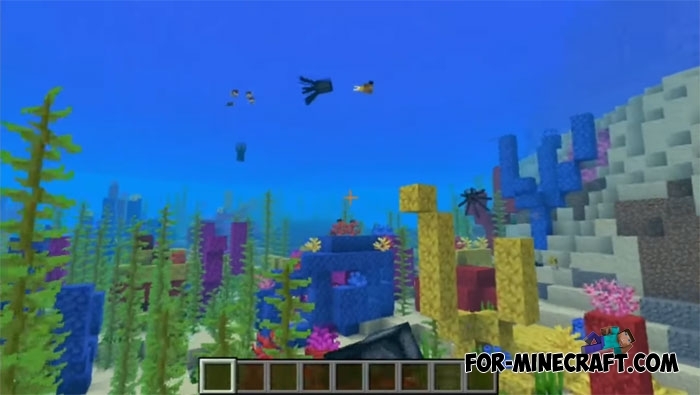 The Update Aquatic is a lot new, including corals that form coral reefs in the oceans. 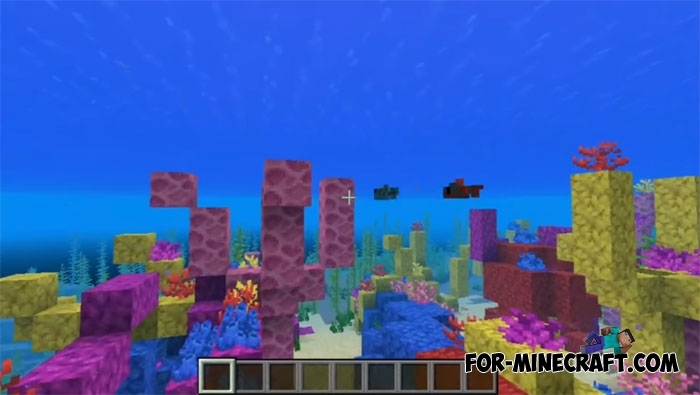 If you remember the previous versions of Minecraft PE then the ocean floor was generated from stones and sand and clay in some places. Now you just need to go to the ocean shore in a look down to the bottom. 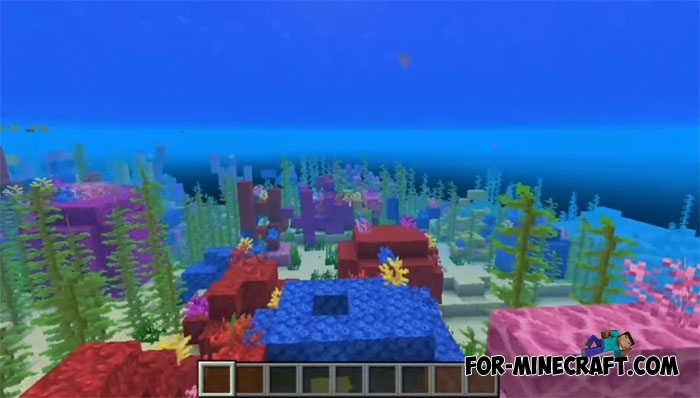 It is generated from bright coral blocks, just dive into the water and swim closer. Corals are living things and they can not do without water. The ocean is their habitat and soon the corals will wither and die if they are not submerged in water. Thus, corals can serve as excellent material for swimming pools or aquariums and many other ideas. See the other seeds that will send you to the cold places with icebergs, for example. These seeds work in Minecraft Bedrock 1.2.14 only. A series of Icebergs seed for MCPE 1.2.14.XCheck out all the features that were added to Minecraft Bedrock 1.2.14 if you have not done so yet..